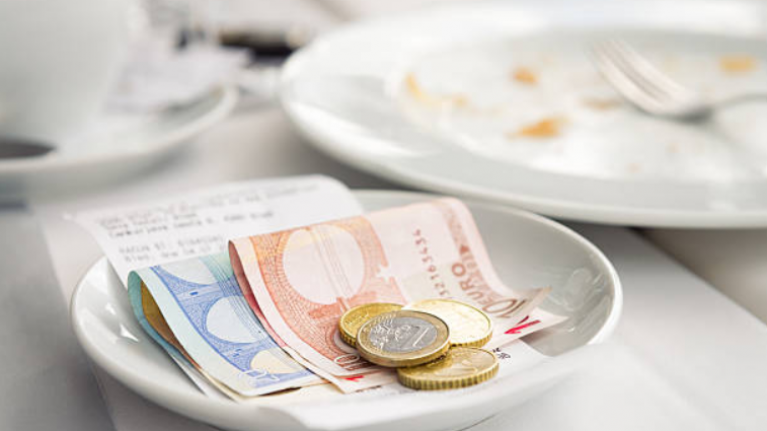 How much do you tip when you go to a restaurant or hairdresser? When it comes to tipping, it's safe to say that we don't really know what to do. How much do you leave in a restaurant? What if they already have a service charge that you don't know about? Do you tip your taxi driver? What about a food truck? The hairdressers?! There's no set rules so we normally just wing it and hope for the best, but it turns out we're all pretty crap at tipping. A survey carried out by CreditCards.com found that millennials are the worst for tipping - but it's not because we're stingy, it's simply because we make less money than older generations. Out of the 1,000 adults surveyed, 10 percent aged between 18-37 said they don't leave a tip at all, while one in six millennials said that they do tip, but it's a pretty low amount. At restaurants, nearly a third of that age group leave less than a 15 percent tip. The survey also revealed that of those who do leave a tip, women are more generous usually leaving 20 percent while men only leave 16 percent.